On Chess: Is there an expiration date for learning about chess? In many competitive sports like ice hockey, soccer and gymnastics, there is an expected pattern of an athlete's life. First, children start practicing their chosen sport at a very young age to have a chance of becoming professional athletes. Around the age of 4 or 5, they join a sports team and cultivate their potential. Then in their late teens and early 20s, athletes master their technique and abilities and reach their personal best. Decades later, their athletic ability decreases until it reaches the point when the physicality of the given sport becomes too much and forces them to retire. Luckily, chess does not follow the same formula. Children can join in pre-K or in their teenage years, without letting go of the dream of becoming a chess grandmaster and a professional player. Additionally, chess does not have an expiration date. There is no age that would be described as “dangerous” for the health of a player. Quite the contrary – many ongoing studies show that chess provides many benefits to aging people including a strong defense against Alzheimer’s disease. The reason behind this different pattern is simple: Chess is approached not only as a sport, but also as an art, a game, a science and even a military strategy. Chess focuses on outsmarting an opponent and executing a better battle plan. 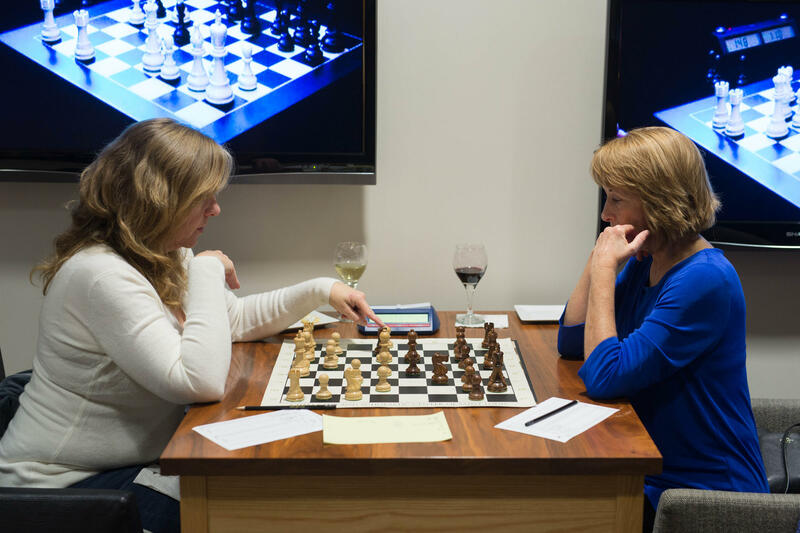 A program for women learning chess has become a popular outing for participants. Chess is mainly about mental vitally, logical reasoning, critical thinking and creativity. Only secondarily does it require physical vitality, challenging a player to have the energy to stay focused for a tournament game lasting over six hours. Unlike the majority of sport clubs that only accept children under certain age limits or prospective athletes with already developed abilities, the Chess Club and Scholastic Center of Saint Louis welcomes players of all ages and levels. It also provides weekly lessons and lectures that improve chess understanding and prepare players for tournament games. The three most notable weekly lectures are: “Pure Beginner Class for Kids” on Sundays at 1 p.m., a class that introduces chess to the youngest enthusiasts and teaches key chess principles; “Ladies' Knight - Women's Beginner Class” on Thursdays at 6:30 p.m., a class that has developed into a social event where women of all ages learn chess from women international masters and grandmasters; and “Chess Openings Explained” on Mondays at 6:30 p.m., a class that provides insight into different opening strategies and ideas. All classes at the Chess Club are free to members and you also get your first visit free. Chess is a royal game that allows players of all ages to compete against each other and challenge both mental and physical vitality. It is never too late to join the chess community. If you feel motivated to learn chess or improve your level, don’t hesitate to visit the Chess Club and Scholastic Center of Saint Louis and learn more about its chess activities. Katerina Nemcova is a women’s grandmaster and member of Webster University Chess Team.